Black History Month celebrates the legacies of movements, triumphs, and the creative contributions of African Americans. One of those names forever engraved in Hollywood’s Black History is Vicangelo Bulluck. Bulluck’s new passion project is his latest play titled Paradise. 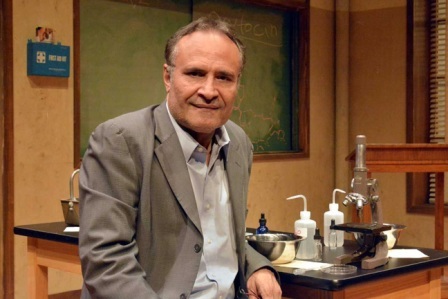 Originally written by Laura Censebella, the play shares the journey between a gifted Yemeni-American and biology teacher’s unlikely relationship. The pair becomes tangled in conflict, religious differences, and test the boundaries of mentorship. Viola Davis and Julius Tennon’s production company JuVee Productions teamed with American Oasis to bring the play to life. Bulluck spoke to the L.A. Watts Times Newspaper about working on the project and why Black creativity is important. L.A. Watts Times (LAWT): How has your journey shaped your career now? Vicangelo Bulluck (VB): I came to town as a creative person. My first professional job was a writer for a PBS series. After that, the NAACP approached me because I was working on the Image Awards and understood their messaging. They wanted somebody to open up their Hollywood Bureau. They had the Washington Bureau but understood the importance and power of media. LAWT: What do you believe has changed the most in regards to Black creativity in Hollywood? VB: Economic awareness. We started asking, what kind of society are we living in? We made sure all people are represented three dimensionally in television and film. For example, look at “Black Panther” and “Crazy Rich Asians.” It really blew the roof off the preconceived past notions. In my mind, one of the major breakthroughs happened with Tyler Perry. LAWT: What drove you to direct the play? Where did this inspiration come from? VB: I feel in love with the project about two years ago. At the time, I was making my transition back to being fully creative. I was looking for something to direct as a feature film that I could do independently. I read “Paradise” and feel in love. It checked off a lot of boxes for me creatively. LAWT: What do you want people to leave with after watching the play? VB: I really think it’s an important play. It’s entertaining and thought provoking. I especially want women to see it because it’s very empowering. “Paradise” stars Medalion Rahimi and Jeff Marlow. Performances begin on Jan. 26 and will continue until Feb. 17 at the Odyssey Theater. For ticket inquires, visit www.play411.com/paradise or call 323-960-7724.